Are you looking for free wordpress hosting for your website? WordPress hosting can be expansive, and if you don’t have a budget to get paid wordpress hosting, you can still get decent free wordpress hosting for your website. In the beginning, when we get to know about blogging and making money online by doing some works, we get excited and just curious to start our website through which we can start earning some penny, but when we check the web hosting plans, they cost hefty, and thus it leads us to lose all of our plans. So why to lose your plans? Here In this tutorial, we’re going to share the best “free wordpress hosting” providers which helps you to accomplish all your goals without any massive charges. Today’s article is all about free wordpress hosting providers. And Yes, you didn’t read it wrong! There is still a lot of free WordPress hosting providers who are pretty decent in terms of reliability and performance. Alternative of Free WordPress Hosting Services. Conclusion – Free WordPress Hosting – is it worth it? Most of the bloggers are often curious about starting their business or want to earn money working online. The only challenge they face is paying the hefty charges for having a domain name and wordpress hosting. But in starting ages, spending a lot of money in web hosting is worthless as it takes a lot of time to get success. With free WordPress hosting, you can instantly get started a WordPress website without spending a single penny to the hosting providers. If you have established your blog correctly and want to continue in the blogging field, later you can migrate your blog to some larger and more reliable web hosting providers who offer tons of helpful features and security for your website. We recommend SiteGround and Bluehost, as they are one of the biggest web hosting providers with a lot of freebies and features including free website migration and free SSL from Let’s Encrypt. Free WordPress Hosting is a great start for your website. You can quickly learn about WordPress and Web Hosting even without pouring a single cent into it. The main advantage of using these hostings is its pricing. There aren’t any monthly or recurring fees, and everything you want can be uploaded to your website. This type of hosting is indeed a good option for newbies blogger who wants to start their career as a blogger and wants to earn a few bucks from it. These hosting are cost effective and are available free of charge, so the main advantage of using these hosting is their pricing. There aren’t any monthly or recurring fees, but with some free wordpress hosting plans, you could be charged for add-ons. You can use free wordpress hosting websites to promote your small businesses. They’re suitable for sites having low or no traffic. 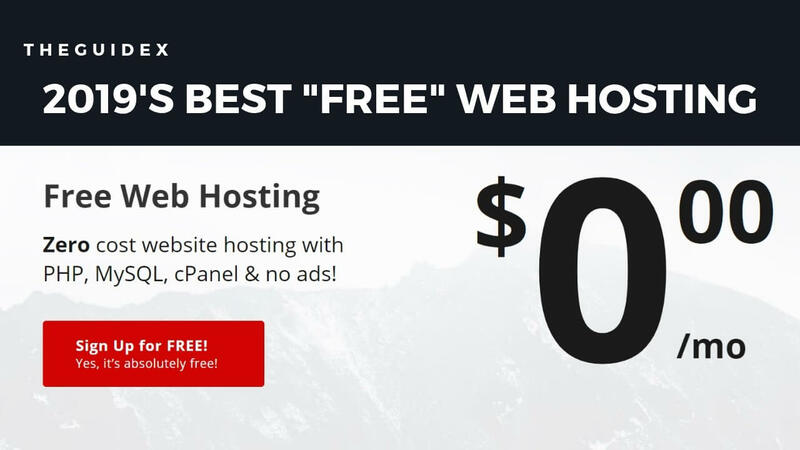 If you want to host your non-profit businesses or small businesses like school website, tuition website, property dealing website, etc., then these free website hostings are perfect for you. If you’re a student, you can also use these free website hosting for your small projects and demo works. You can use these hosting for hosting your collage projects or demo websites. You can even use them for script testing and temporary work without paying a single buck. As I mentioned earlier in advantages that these hosting doesn’t cost a dollar, so there is much disappointment of using these type of hosting. The main disadvantages of using these hostings are downtime. You’re likely to experience a lot of downtimes since decent servers will be out of reach for free web hosting companies. You’re also very likely going to get inferior customer service. The primary issue of using free wordpress hosting is frequent downtime. Your website resources get fulled whenever the traffic spikes. It is the major concern of using these type of hosting plans. If your website receives frequent traffic on a daily basis, I wouldn’t suggest using free website hosting. In this scenario, I’m also going to cover some premium hosting plans which you can get for free. With using free wordpress hosting, you wouldn’t get any customer support. Any free hosting website rarely provides customer support. So this is another disadvantage of using free wordpress hosting. If you encounter any problem with your website or with your server, then there is no one available to solve your problem. You should have to address your website or server problems on your own. If you’re using free hosting for your website, you will get limited bandwidth for your site. Most of the time your website bandwidth limit get exceed. In this scenario, they’ll demand you to upgrade your website to their premium hosting plans or even they could charge some penny for additional bandwidth. Are you looking for some premium hosting plans in low budget? Here I’m going to mention some premium hosting plans which you can get for free. Yes!! You heard it right!! But how can anyone get premium hosting for free? Some premium hosting website offers a free trial on their hosting plans, or some may even provide free hosting for students. So if you’re a student, you can avail several scholarships and get hosting for free. And if you’re not a student, still you can grab premium hosting for free. Here I’m going to cover “Top-3” free hosting websites, which you can use to get your hosting for free!! Google Cloud is one of the biggest cloud hosting providers and they’re offering free $300 credits for 12-months. To avail this offer, you just need to have a Credit or Debit card (with International Usages) as your default payment option. You can easily avail the free $300 credit by activating the link here. Once your account is activated, Goto “Create Your First Project > Compute Engine > VM Instance > Create New Instance.” to create a new cloud hosting for your website. Once you install the CyberPanel, Open the admin panel, i.e., Your_IP:8090 (You’ll get the admin panel link when installation is completed) and create a new WordPress website for free. DigitalOcean offers free $50 credits to Students using their scholarship program at Github. You can apply for the Github Education Pack using your School provided .EDU email, or by using your school/college provided ID card. This is another easy method through which you can follow to grab $50+$10 free credits in your DigitalOcean account. You can easily avail the free $50 credit + various other offers from here and grab extra $10 by registering here. Once your cloud hosting is setup and you get the root access, then you can deploy your cloud hosting droplets from Droplets > New Droplet > Select OS > Location and several other things > click on create. Once your droplet was created, add your website and install WordPress on it. 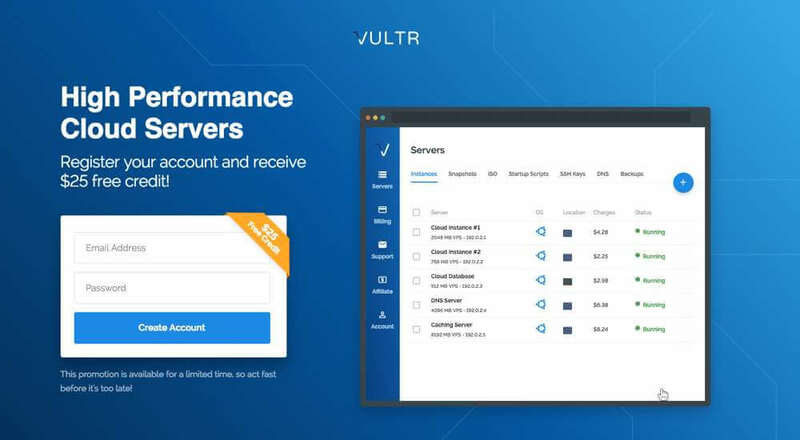 Vultr is another biggest cloud hosting provider which is offering free $25 credit for 12-months validity. You can easily get $25 credits in your new Vultr account using any various payments options including PayPal, Debit or Credit Card (with International Usage). The method to avail free $25 credit in Vultr account is simple, click here to claim free $25 vultr credits in your account. Once you get $25 free credits in your account, you can create droplet and install any panel on your cloud hosting to install WordPress. List of Free WordPress Hosting Provider. So the wait is over, here I’m listing some of the best “free” wordpress hosting providers. You can use these hosting providers to host your temporary works or demo. WordPress.com is a free wordpress hosting officially by WordPress. They offer free website space of 3 GB with automatic updates and backups. All services are officially managed by them, and you’ll get a free sub-domain with your WordPress.com hosting plan. Furthermore, You can also download their android and IOS app to manage your website easily. The main advantage of hosting your website with WordPress.com is no downtime and a lot of theme and plugin customization. It also facilitates you to easily set up your WordPress website just in few clicks. Free Up to 3 GB Free Disk Space. Site Can be Deleted, If they Violate Terms. Membership Sites Can’t be Build on Free Hosting. InfinityFree is another well known free hosting website. They provide free cPanel based control panel with every account. The major pros of hosting your website with InfinityFree is their cPanel based control panel. You can also host your own domain name or can get free subdomain name with your hosting plans. They also offer premium hosting plans on their website, and the upgrade from free hosting to premium plans is quick. As compared to some other hosting providers, they won’t show any ads on your website and your website remains completely free until you want to upgrade your hosting plans. 000WebHost is another most powerful and popular free hosting provider owned by Hostinger. 000WebHost is one of the most trusted and widely used free wordpress hosting website. Unlike any other free WordPress Hosting provider, 000WebHost don’t have any limitations on their hosting. This hosting is completely free forever and you can easily setup WordPress using their one-click WP installer. You can easily host WordPress, other CMS or even host your own custom coded website for free without any hassle and this is the only free website hosting who offer 99.9% uptime guarantee. AccuWeb is another best and renowned name in the free hosting business. They provide WordPress Optimized Server for your website which is 10x faster than a regular free hosting site. With AccuWeb Hosting, You’ll get 2 GB SSD Storage and 30 GB of Monthly Bandwidth for Free. The website can easily handle 4,000-5,000 monthly website traffic. And to enjoy the lifetime free service, all you need to do is sign up for absolutely no cost and with non-requirement of credit card details! 10 Times Faster Loading Speed. 2 GB SSD Storage and 30 GB Bandwidth Free. WPNode is another most popular free WordPress hosting provider. They also offer free hosting for other CMS as well as premium hosting plans for them. They provide WP optimized servers, So that your website can load at blazing fast speed. Furthermore, they also offer free global CND by Cloudlfare. The free hosting at WPNode comes with SSD Storage space and there is absolutely no downtime. The hosting also comes with pre-configured W3 Total Cache plugin to make it easier for you! As the name, x10hosting is one of the best free wordpress hosting which is 10 times more faster than other free hosting websites. They offer SSD Servers for your websites which increase the loading speed and performance of your site. The main advantage of using x10hosting is becuase of their performance and latest version of softwares. They also offer full control of your account with latest softwares including Latest PHP, MySQL, as well as cPanel. You can easily install WordPress other CMS within a single click using their one-click installer. And creating the perfect site is easy as ever with their user-friendly website builder! Full Control over PHP scripts. Fully Optimized High Performance Servers. No Live or Phone Support Available. Well if you’re just starting your career as a blogger or you’re someone who wants to use hosting for temporary works, then it’s good to start with free hosting. But in the case, if you’re a business person or if you want to host a website which receives traffic daily shouldn’t be migrated to free wordpress hosting. If your website receives daily traffic, I would suggest using some premium website hosting for your blog or business website [Check out Best “Cheap” Web Hosting Guide Here]. Are you looking for free wordpress hosting for your website? WordPress hosting can be expansive, and if you don't have a budget to get paid wordpress hosting, you can still get decent free wordpress hosting for your website. So why to lose your plans? Here In this tutorial, we're going to share best "free wordpress hosting" providers which helps you to accomplish all your goals without any massive charges. Nice post thanks for sharing these awesome free WordPress hosting Websites.